How can God use YOU to give hope this Christmas season? You, your family, and your Small Group can make a difference this Christmas! As a church family, we are excited to reach out to families in need in our very own communities. 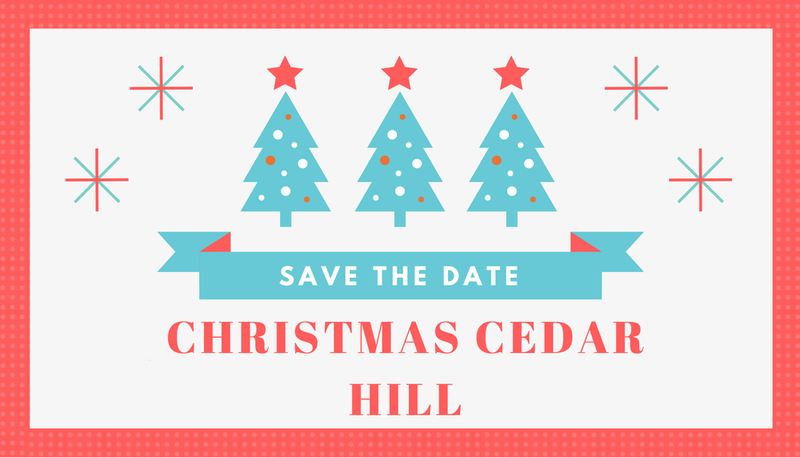 This year, Church on the Hill will do this by focusing on 2 local outreaches—Christmas Cedar Hill and Santa's Cafe! Christmas Cedar Hill is a joint community effort serving Cedar Hill ISD students and families. Participation in this event includes collecting toys and/or donating funds to help supply toys and food to recipients. Volunteers can also help distribute toys and Bibles on Saturday morning, December 15th, at the Cedar Hill High School. See registration link below to volunteer on December 15th. Church on the Hill has contributed to the Bibles that will be given through Transformation Vision, as well as purchased Bible comic books for each child. Where do I drop off donations (during business hours)? Help with toy sorting and gift distribution on either December 14 or 15 by clicking the registration link below. Santa's Cafe is an annual charity event at the Oak Cliff YMCA on December 15th from 9am-12pm. Hosted by Two-Wins and its partners, this is a time to celebrate the holiday season while making a difference in the lives of others. The Church on the Hill MOV (Mobile Outreach Vehicle/Video Game Truck) will make an appearance at this community-wide event and Church on the Hill will also be donating Bible Comic Books to each child at Santa's Cafe. You can help by signing up individually, with your family, or with your Small Group to volunteer at Santa's Cafe on December 15th from 9am-12pm. What else can you do to give hope this Christmas in YOUR neighborhood? Our church family represents areas all across the DFW Metroplex. We encourage you, your family, and your Small Group to bless your local community in your own unique way during this Christmas season. Anything from Christmas caroling at a nursing home to serving at a local soup kitchen to helping a neighbor hang Christmas lights! As Christ has blessed us,let's find creative ways to bless others this Christmas! However you choose to give hope this Christmas, please post pictures of your small group experiences on Instagram or Facebook and tag @coth_usso we can celebrate how doing life together can give hope to our community!